Board a flight to the land of dreams! 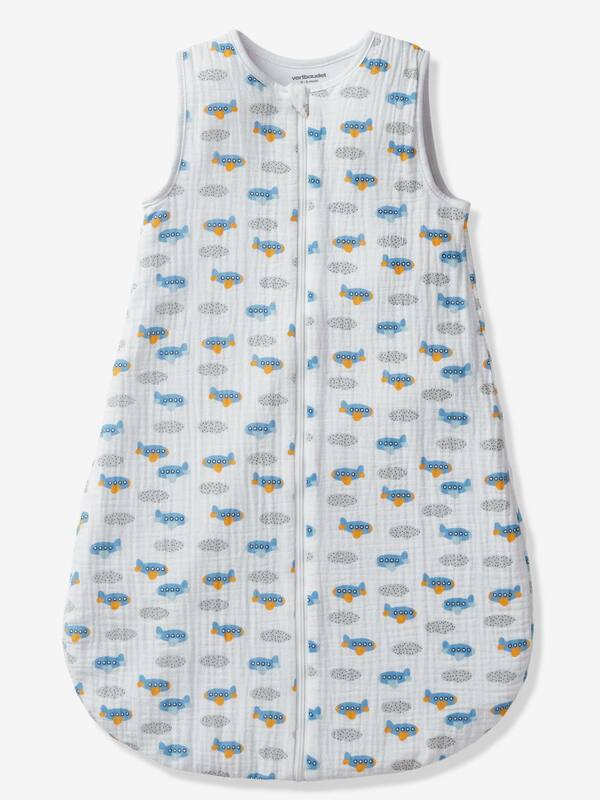 Baby will sleep peacefully in this snug baby sleep bag in honeycomb cotton fabric. Very lightweight, it is ideal for summer nights and keeps baby snug without overheating. The baby sleep bag can be used from birth and replaces the blanket until little ones are 18 months old for safe naps! Zip opening down the middle. The baby sleep bag is recommended up to 18 months in a size adapted to the baby's size. Lightweight baby sleep bag in cotton. Lining in pure cotton jersey knit.